Everybody loves a treat! 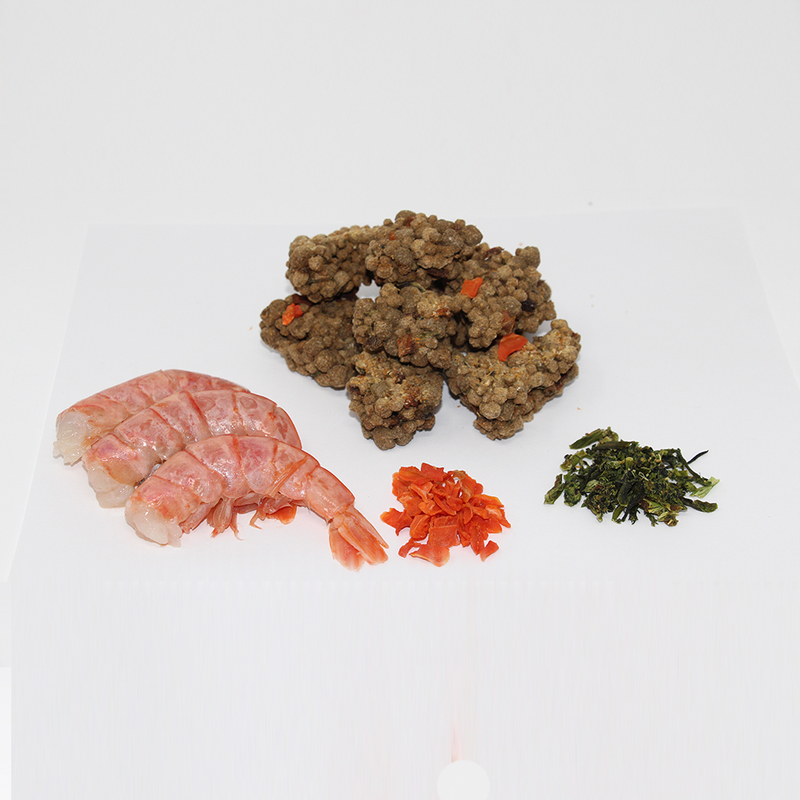 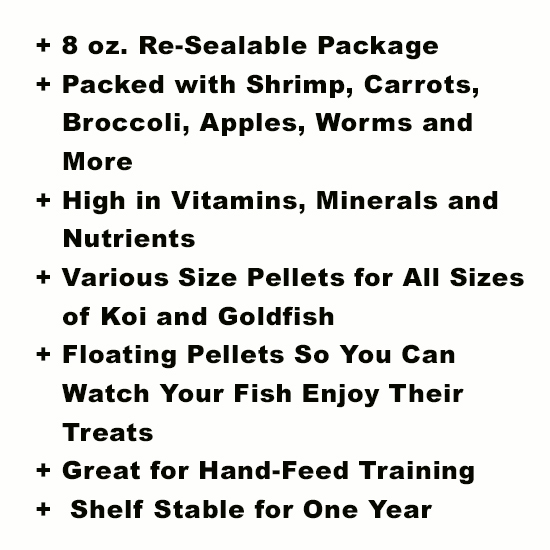 You will love watching your fish chase these nutritious floating cakes of yummy fish food, apples, carrots, broccoli, shrimp and more. 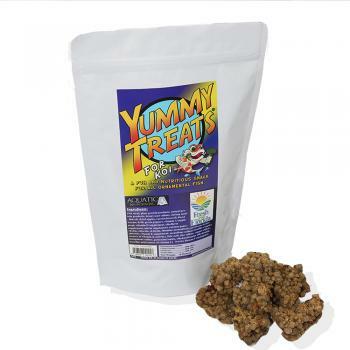 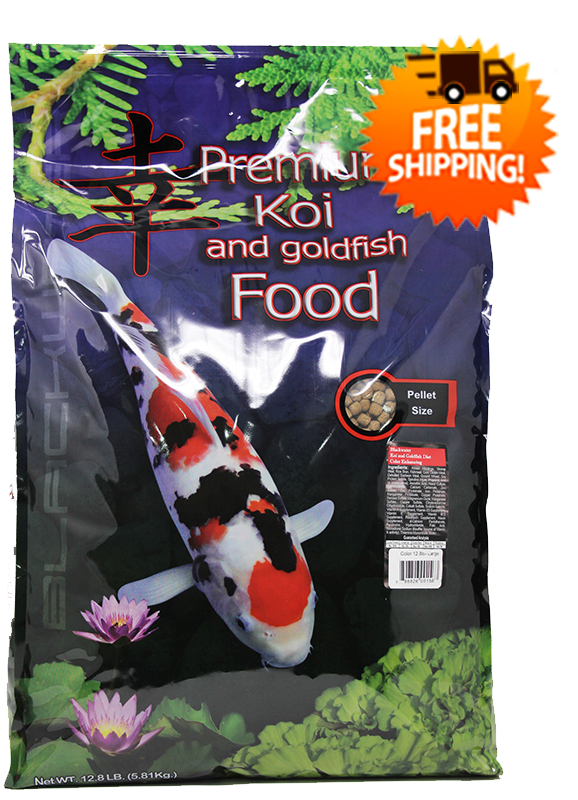 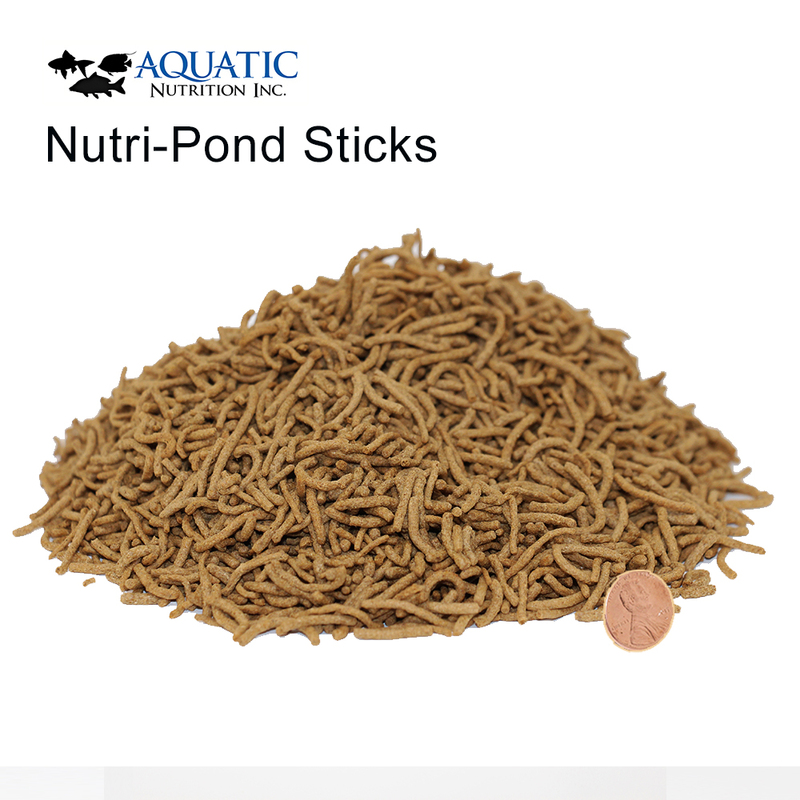 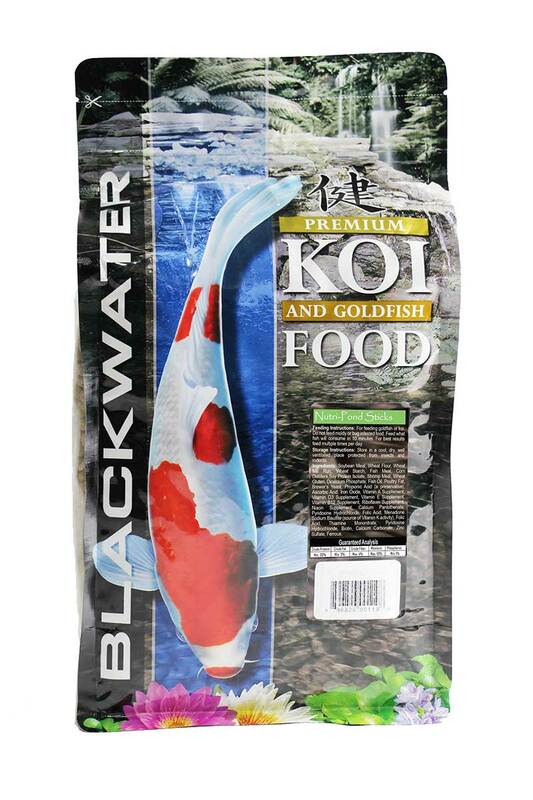 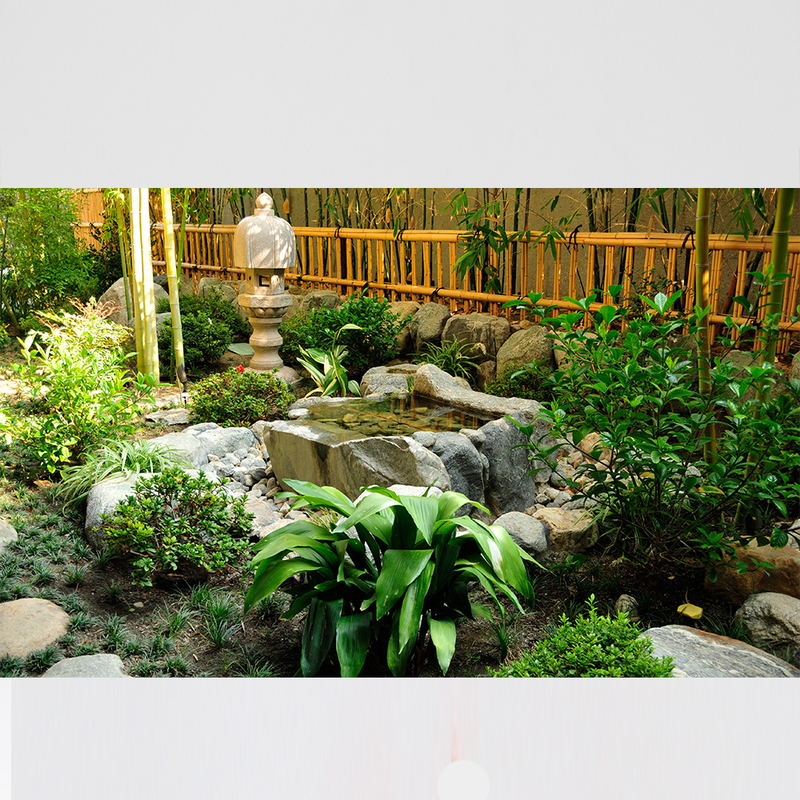 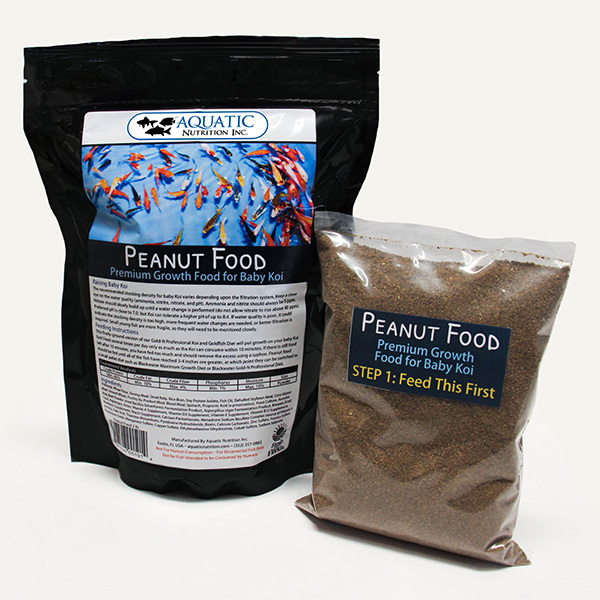 Use this 8oz bag of Healthy Yummy treats to feed your Koi & Goldfish. 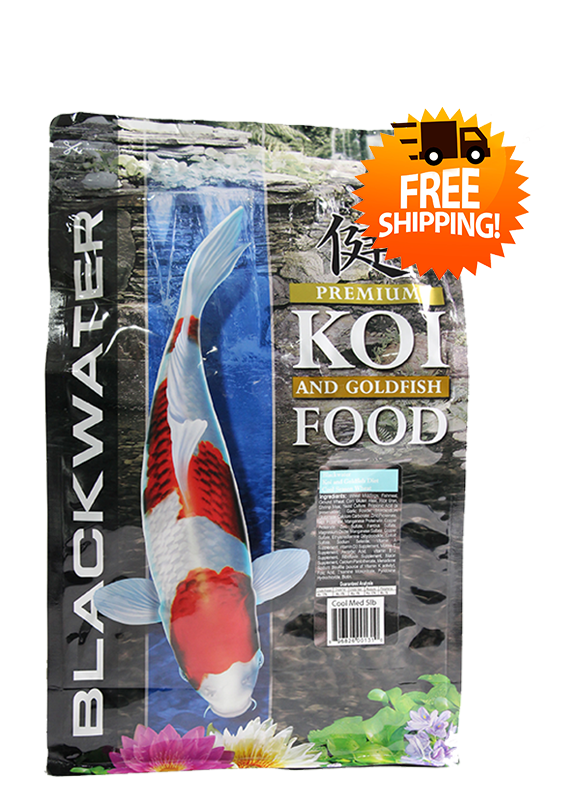 Get some Yummy Koi Treats today!